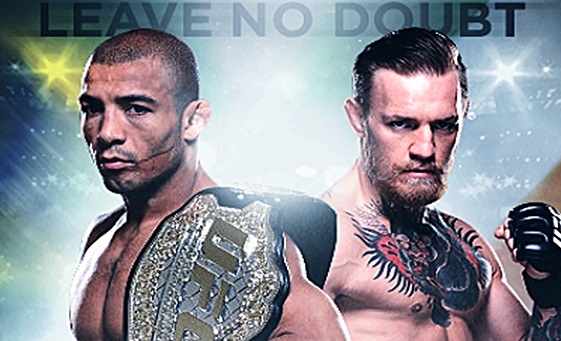 Conor McGregor earned $500,000 guaranteed purse after his 13 seconds knockout of Jose Aldo. But his potential earnings from the night will be much more higher as he is expected to clear minimum of $7 million with his PPV share making him one of the highest paid MMA fighter. Read more details below. Featherweight champion Jose Aldo will be defending his title against Irishman Conor McGregor in UFC 194 what could turn out to be the biggest Featherweight fight in history and Dana White UFC president believes that UFC 194 is expected to cross $7 million in gate receipts. More-ever according to many ppv experts predictions PPV buys are likely to be somewhere between 750,000 to even a 1 million which will make it one of the biggest fight card in recent UFC history. As far as the fight base salaries is concerned, Jose Aldo will be getting $400,000 plus win bonus ($100,000), while McGregor will get base salary of atleast $500,000 guaranteed no win bonus. But his final earnings from the night will be massive $7 million because of his hefty PPV share. McGregor himself revealed the information that he will be making around $7 million from his nights work but thats a far cry for even one of the most hyped UFC fight because McGragors final payout from 12 december fight depend alot on how the UFC 194 perform PPV buys wise. Because of his PPV tier based contract he will be getting $3 for every PPV sold if the numbers are between 300,000 to 500,000 and anything above 700K buys McGragor will earn $4 or even $5 for every PPV sold. Conor had problems fighting Aldo’s sub, Aldo will doninate this fight! Use PureVPN to watch Aldo vs. McGregor live streaming from anywhere in the world and it works perfect. What is PureVPN? Thanks for the advice. Guess he didn’t have problems after all. As much as I don’t like McGregor’s attitude U can’t deny he’s a bad Mother-F–Ker! 13-seconds! What happened?? Luck of the Irish?? hope you dont gamble much LMFAO.